C1 D2 TACKLE TRADERS has been the proud sole African importers and distributors for the HALCO TACKLE COMPANY, an Australian Lure Company, for the many years. C1-D2 Tackle Traders took Halco from a complete unknown brand in South Africa, to a market leader. Because of their success with Halco, C1 D2 Tackle Traders have been awarded exclusivity for the import and distribution in South Africa and surrounds, of DENCO TACKLE: manufacturers of skirted lures Denco is an in-house locally produced brand. These lures are hand-made with precision in the finest Lure Factory in South Africa and are tested by highly experienced International Game Fishing Professionals. Denco Lures are exclusively distributed by C1 D2 Tackle Traders and here at Fish The Sea... DENCO Lures, 'Use 'em or Lose 'em! 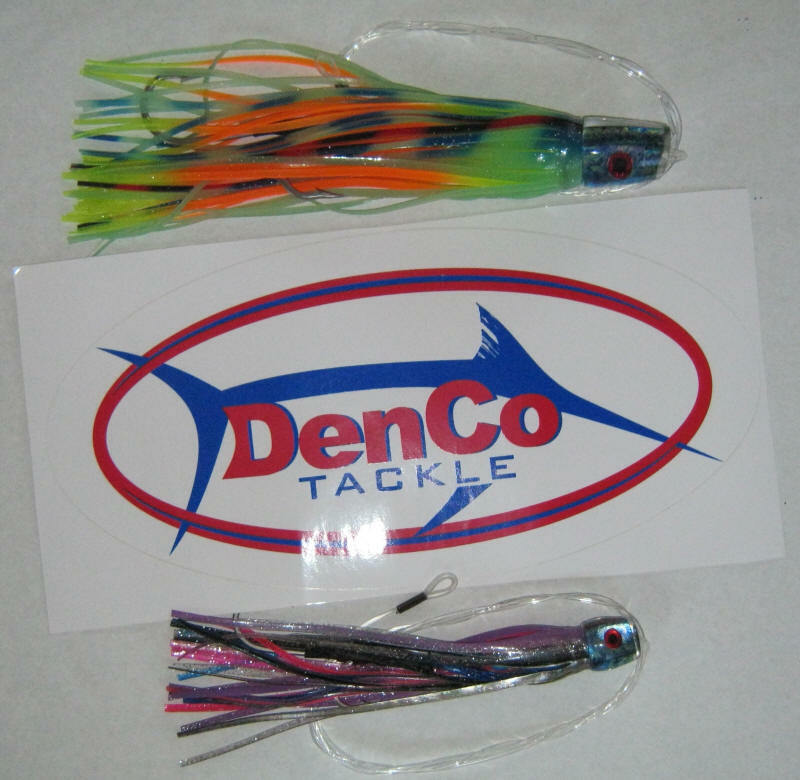 The DENCO range of skirted lures come in various sizes, face shapes and colours and one can target many pelagic and offshore fish species with these Denco skirted lures. 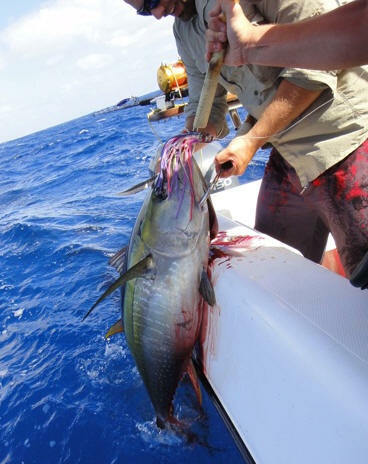 Fish such as Dorado, King Mackerel, Wahoo, Tuna, Sailfish, Marlin, Barracuda, Jobfish, Rainbow Runner and so many more. Please see what lures we sell below, and in what colours and sizes. Pictures of colours and the actual lures are below the table. Denco Lures come pre rigged with stainless steel hooks and stiff rig. Please contact me for orders and inquiries. 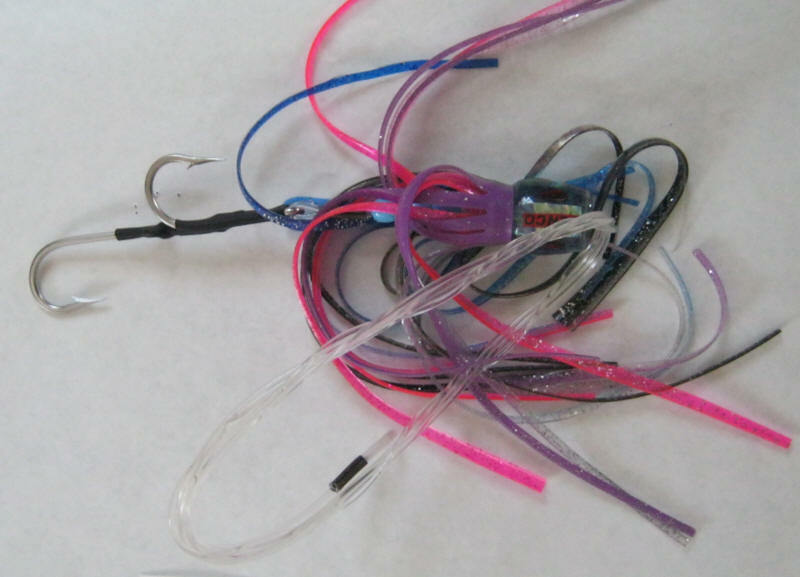 We are currently OUT OF STOCK of all lures and accessories. We apologize for this inconvenience. Click to enlarge images above... Please contact me for any inquiries or orders for Denco Lures.